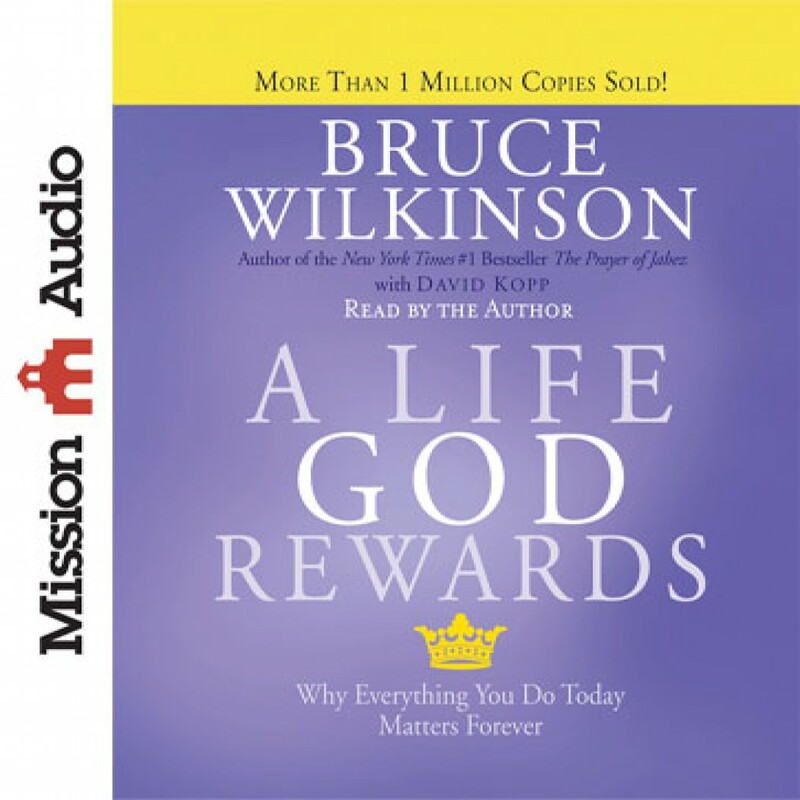 A Life God Rewards by Bruce Wilkinson Audiobook Download - Christian audiobooks. Try us free. In this book, you're going to discover that God's son Jesus revealed a direct link between what you do today and what you will experience after you die. Astoundingly, the majority of spiritual seekers around the world -- including millions who follow Jesus -- seem to have missed what He said. Could you be one? If so, your picture of the future is missing about a billion stars. Author Bruce Wilkinson shows you what Jesus said about God's plan to reward you in eternity for what you do for Him today. What you'll discover will unlock the mystery of God's power, plan and will for your life. And you'll begin to live with the unshakable certainty that what you do today matters ... forever! In the little book you’re holding, you’re going to discover that Jesus revealed a direct link between what you do today and what you will experience after you die. Astoundingly, the majority of spiritual seekers around the world—including millions who follow Jesus—seem to have missed what He said. In this stirring follow-up to his bestsellers The Prayer of Jabez and Secrets of the Vine, Bruce Wilkinson shows you what Jesus said about God’s plan to reward you in eternity for what you do for Him today. What you’ll discover will unlock the power and potential of your life, starting now. And you’ll begin to live with the unshakable certainty that what you do today matters…forever!